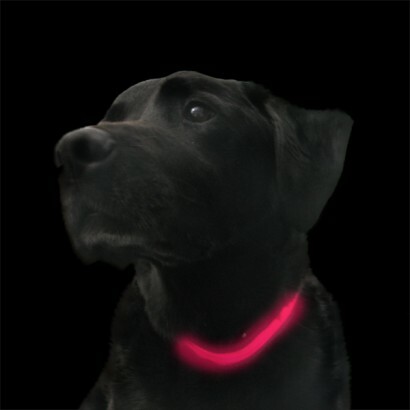 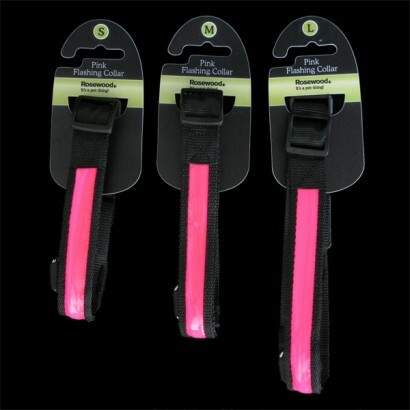 A durable dog collar with a pink reflective strip that reflects the light of oncoming traffic at night, this fantastic dog collar not only reflects the light, but lights up too! 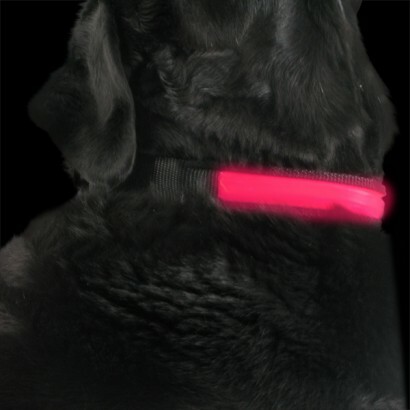 Available in three adjustable sizes, this highly visible dog collar has three light effects; rapid flash, slow flash or constant glow that are activated by lightly pressing on the control panel tucked away inside the collar. 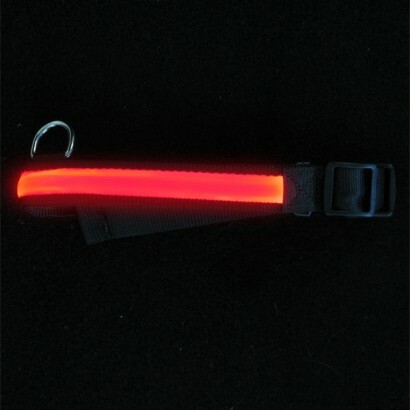 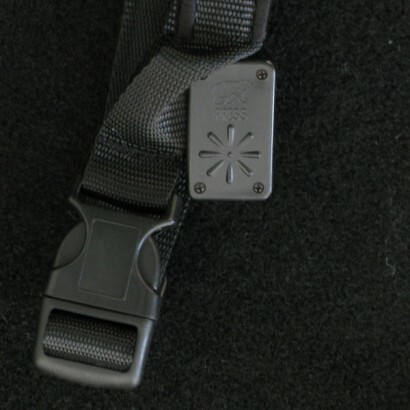 Tough and highly durable, the collar is fitted with a handy D ring to connect your lead to and will withstand the pulls of even the strongest of dogs. 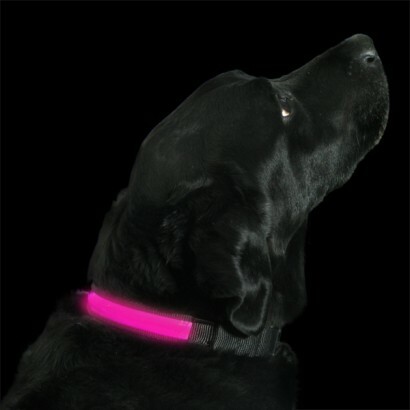 The collar requires one replaceable CR2032 3V button cell battery which is included.